The long-awaited new version is finally presented to you. More delicate graphics will give you a brand new vision experience. Newly added functions, additional scenes and more are waiting for your participation! As a green hand, is it hard to start the game from nothing? Don't worry, Newbie chest and Timeless Chest will help you level up faster! If you want to be strong, there's no problem at all since the fortification system is updated as well! The limit of equipment fortification raises from +9 to +12. 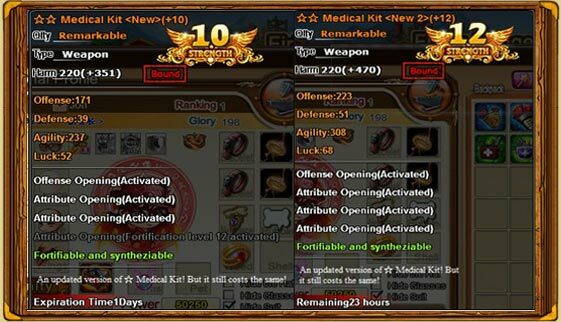 The appearance of +10, +12 weapons are also changed, which will make you unique in game. 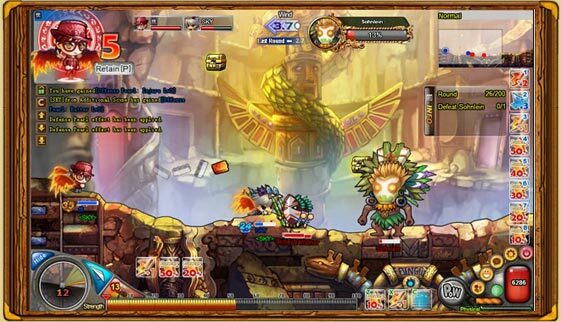 Besides weapon fortification, you can also challenge the new additional scene--- Evil Tribe. Defeat the chieftain to win secret prizes. Higher level of difficulty offers more wonderful gifts! Tor all the guys suffering wars and fighting monsters, it is time to have a holiday. Invite several friends to enjoy the warm hot spring, appreciate beautiful fallen petals ...Romantic Spa will help you level up easily in a relaxed manner.